Acrylic And Oil Painting. Understand The Capabilities And Limitations. Acrylic And Oil Painting. Understand The Capabilities And Limitations Of Both. Problems in the playground? Acrylics and oils can play together without supervision. Find out how. Acrylic and oil painting. You’ll notice I used the word “and”. Occasionally it can be seen as acrylic OR oil painting. The truth is, hurling all paint around is just so much fun! I think that discriminating against a medium is limiting yourself in lots of ways. 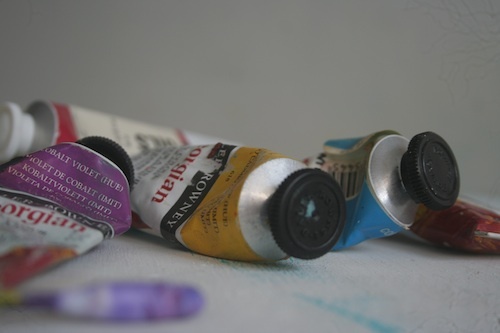 Acrylics and oils do not have to be separate entities. One can teach you a lot about the other. If, for example you happen to use acrylics a lot, it’s a great idea to pick up some oil paints and push them around for a while. You may hate it. But it will help you identify some of the strengths and weaknesses of working with acrylics. You’ll come back to “your” medium as a better painter. The same could also be said in for oil painters. In some quarters there is a bit of snobbery associated with acrylic and oil painting genres. Expressing yourself means using a medium that will get the job done just the way you want it. Every type of paint has a limitation (usually more than one!). And every type of paint has wonderful properties. There are no rules with creating and self-expression. Acrylics dry very quickly, and can have very bright and vibrant colours. 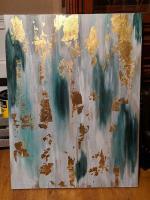 Oils slide around and blend beautifully, giving you the benefit of time. Should this keep them separate? NO WAY WE SAY! Often blocking in a painting, is the first part of the construction of your painting. BAM. Get colour down fast, so you can start painting over the top of it. Dum da daaaahhhhh......enter acrylics! Use acrylics for your underpainting. DryThen get busy chucking oil paint over the top and sliding it around. Once acrylics are dry, it’s safe to paint over the top with oils. Voila! Best of both worlds. The process of making a painting is broken down into 3 groups in my DVD Tips & Techniques. You choose from the roughing in stage onwards whether to continue with acrylics or switch to oils. NOTE: It’s much tougher to get acrylics to stick to oils, and probably not recommended. (I know, I know, I said no rules). Try it and see what happens! Just don’t yell at me if it all falls off. Despite this, it is still possible to use acrylic paint over oils for wonderful crazy effects. 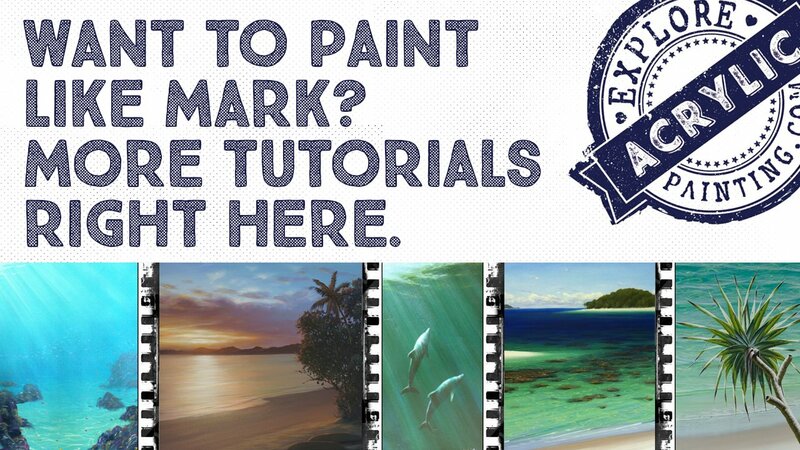 Try brushing thin washes of acrylics over oil paints for exaggerated effects. You may just need to seal them in properly later. 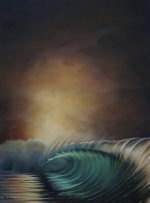 With acrylic and oil painting, it is important that you do understand a few fundamental differences. Tend to dry darker and faster. Are water based and will clean up with water. Tend not to smell (unless you forget to change your water pot water - that smell is really not right). When working with acrylics, the colours are a little harder to muddy - when using oils there is a tendency to work over an area repeatedly. This can often result in mud. Certain acrylics are less toxic. The dangerous pigments (especially cadmiums) in some acrylic paints are encased in a polymer (science stuff I don’t understand) which makes it safer to use. 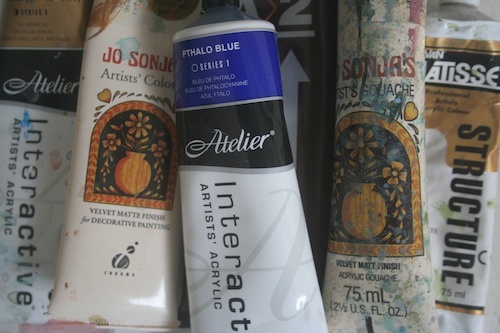 Atelier Interactive paints are a great example of these. Additionally they also have a product called Unlocking Formula. This gives you much more time to blend, in a similar way to oils. Clean up with turps or thinners of your choice. Name your poison. Dry very slowly. Sometimes up to a month if your paint is very thick. Requires a process to prevent the paint cracking - fat over lean. (Roughly speaking, “fat” is oil paint without thinners added, “lean” is oil paint with thinners added). Lovely to use (a bit messy). Of course, we can’t go into all the nuances of acrylic and oil painting. There is a lifetime of learning in each of them. Enjoy and celebrate their differences, don’t be a paint snob! We can all get along.....!